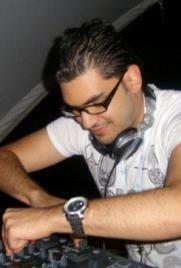 Adnan "DJ A-One" is originally from Morocco, has was living in Abu Dhabi when he started mixing his first R&B mixtape. Albert Casanovas was born in Barcelona in 1978 and no one complained yet. Alex began DJing in 1999, using vinyl and CD decks. The sets he plays are very energetic, smooth and always guaranteed to make you want more. D.J. 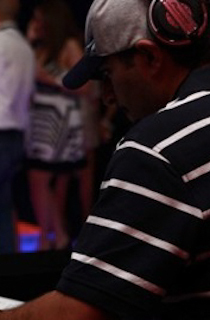 Allad has been rocking clubs throughout the U.S. for over ten years. 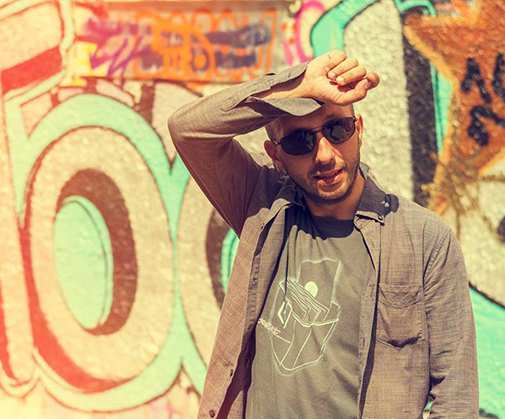 In 2011 Allad decided to travel abroad and bring his love for music to international ears throughout the world. Since breaking into the house music scene in 2008, DJ Vanilla has dived into the spotlight, carving a name out as one of Australia's most sought after female DJs. Rabih Karam was born in 1983 in Beirut / Lebanon and started to be involved in electronic music for his long passion for sounds and music. Was born in Beirut, endowed with highly prominent influences and unmistakable musical ingenuity, it is no wonder that he has sustained his presence as one of the upcoming DJs in the Middle Eastern DJ scene. Anya is a young DJ and producer born in Poland, currently living in Abu Dhabi, UAE. Asee's best feature will always be his mixing "style", a true show that awarded him his immense popularity. 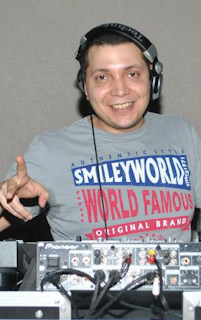 In 2007 DJ Asee took part in Doha's "Most Popular DJ". One of the most attractive and energetic of Russian female DJs with 5 years of work experience across China, Russia and Dubai. Adam Baluch combines acoustic guitar, keyboards, trumpet and a soul friendly falsetto to create a unique style, that defines his own genre. B-Luv has wowed us for a while now with his flawless DJing skills, innovative technique, and his musical sequence versatility. BASS MAZE is a Peruvian DJ with an eclectic taste in music that spans from funk and nu soul to synth-pop and indie dance, from reggae, surf rock, and afrobeat, to krautrock, nu disco, electro swing, minimal, techno and house. Beat Elite band have been performing for the last 2 years as a 7-piece band, but we have made them into a 4-piece band especially for you. You might have heard of them when they performed in Abu Dhabi. They’re all seasoned pros having performed in Bahrain (Club Ibrida), Dubai (Nell Gwenn) Abu Dhabi (Rock Bottom) and Bahrain again at Club Buffalo. DJ Bliss, is among a small group of Emirati celebrity entertainers expanding their career and taking their talent internationally. Bruce Hill taught himself how to DJ and started playing house music when he was only 14 years old. He always had a big interest in music growing up as his father also used to be a DJ in his days. DJ Bu$hman is a rising disk jockey specialising in Urban music (Hip Hop, R&B, Old Skool, UK Garage, Dancehall). Based in Abu Dhabi where he has spent the last six years and currently holds a weekly residency at Turquoiz based at the St Regis Saadiyat, plus regular pool parties as 'Immaculate Touch'. At an early age, DJ Chino was already exposed to music since of their family's sources of income is sound system services. After college, he decided to pursue his passion until he started spinning in clubs in Makati City, Manila & Boracay Island. DJ Chris Delaney born in the 80’s and listening to so many genres of music growing up he has created a unique way of mixing, He can put in performances in any type of environment whether its House Music, Dance, RnB & Hip Hop, Northern Soul, Motown, Indie & Rock n Roll. Chris got a residency in a trendy bar called Agenda in Glasgow when he was 19 years old. The bar attracted 18 to 40-year-olds and he began finding his feet as a House DJ. DJ CK started his career back in 1999. As a DJ, his passion for music drew him throughout all the clubs in Egypt until he landed in UAE (Dubai) in 2006 to carry on his mission as a professional DJ. From being an avid record collector and making tapes for school friends, Cliff Townley soon realised being a DJ was going to be his biggest hobby yet and one that would turn into a career he loves. Born and raised in Bucharest Romania, living in Abu Dhabi, UAE since 2006, CristiAna a.k.a Asphyxia has been inﬂuenced in her style by renowned djs and producers such as Sasha, John Digweed, Timo Maas, Maetric, Moshic, Henry Saiz and many others. Corie Weaver was born in Antigua, West Indies. He started playing in the late 90’s and took on the alias DJ Crown Prince. Through his personal and musical views he keeps the moniker, “The Soul Rebel,” as his reminder to stay true to himself as he pursues his vision of uniting the world through music. Whether it’s house, disco, funk or lounge music, Dan Chadwick’s sets are shot through with soul, a by-product from his sunset sessions at cult Ibiza hang out, Savannah. A household name for music lovers, Neville started off his career by joining one of the UAE's most reputed radio stations at the tender age of 17, which in turn made him the youngest professional DJ/radio presenter in the Middle East (ME). DJ/Producer that spreads his sound of brilliantly crafting rhythms with soaring house vocals and melodies, with a passion for the dance floor and the music that surrounds it that goes beyond infectious, delivering a unique sound cultivated through a life-long love of music. 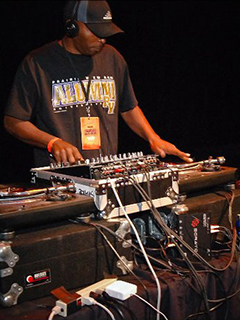 DJ Destroyer started his career as a DJ in 2002. He has been performing live in most of the big clubs in the United Arab Emirates and abroad. First and foremost DJ Devon Kosoko is a music producer, in addition, he has a DJ career that spans back over thirteen years. Professional International House/EDM DJ & Producer. 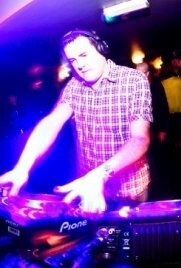 Chris Jackson is from Sheffield (UK), his DJ name is DJ-CJ and he is a qualified DJ with an NCFE DJ Skills Level 2 qualification. DJAD has been a constant figure in the ever-evolving dance music scene and culture since 1996. His DJing career spans over twenty years of mixing and supporting dance music behind the decks. 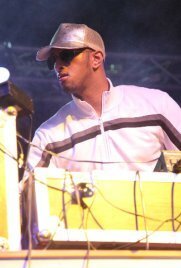 DJ Anas AKA Dr Anas began his professional career in the late 90's in his home city Marrakesh when Acid & Funky House was at its peak. DNA is an innovative group of singers and musicians taking the Abu Dhabi crowd on a memorable journey. From a powerful and heartfelt ballad to the very latest hit songs, their original renditions of everyone's favorite pop, Latin, dance, jazz, blues and R&B songs will keep party-goers singing and dancing all night long. 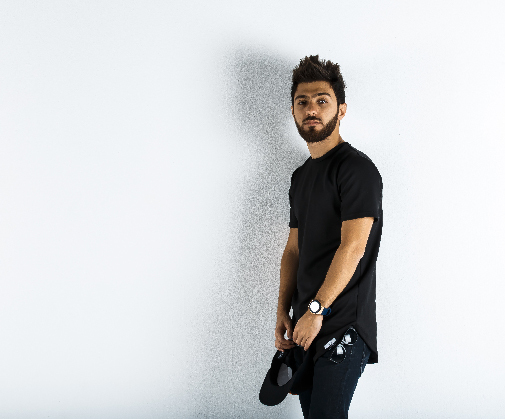 Born in Kuwait, Ed started playing for private house parties growing up in Kuwait, specializing mostly in EDM and now focuses on Tech and Deep house production, mixing and djing. 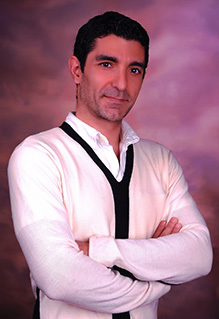 Born and raised in Beirut, Elie Hajjar began his music career in 2002. Mastering the art of music, he found his passion for creating and producing dance mash-ups and house beats. A Parisian DJ and Producer working in Dubai, he's truly passionate about music, managing to capture a wide audience, whose creation surprises by style, musicality and technicality. Fadi who grew up as a musician managed to combine his talent composing music and the passion that comes with it with today's very popular EDM scene to deliver an unforgettable journey throughout his performance. Farhan was born and raised right here in Abu Dhabi. He used to ride his bike around on Salam Street towards the Corniche. He left in 1998 when his parents retired, but life brought him back here when he got a job offer in the same city. Since 1996, DJ Froid, has been entertaining audiences throughout the Western United States. 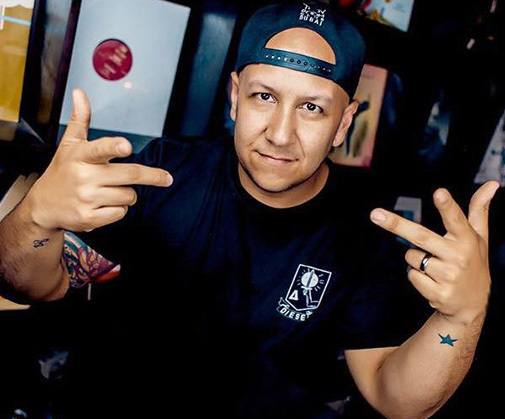 From his beginnings as a mobile DJ, to guest spots at various clubs, to DJ residency and management operations for the largest nightclub in Southern Arizona, Froid has been fully involved in live music entertainment from both sides. Awarded for 'Best Djane for 2015' by 359 Hip Hop Awards. Resident DJ of Bedroom Club/Beach & The Bounce Club Sunny Beach. Official AlienShapes Girl. 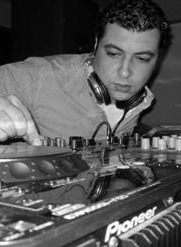 GEM.N.I kicked off his aspirant DJ career in 1999 in his home country of Cyprus and turned professional only twelve months later following a successful tour in England. Let's not get into what inspired Hassan to DJ, his first mind-blowing experience or any other generic DJ bio nonsense. It's simple; he loves music and sharing it with people. And of course, he's good at it. Born in Russia, Ira Craft is no stranger to DJing in the Middle East with over 13 years of experience plaing at bars of Dubai, Bahrain and Qatar. Highly regarded by both night clubs and music fans, DJ Jack, has been elevated to mythical status as one of the UAE"es foremost DJs. A native of Lebanon, at the age of 16 he had already started mixing music for almost 300 various celebrations such as beach parties, birthdays, graduation parties, NYE and Christmas Parties in his hometown. Visiting the UAE's nightlife, his passion and skills attracted a lot of attention which tempted him to continue his career there. 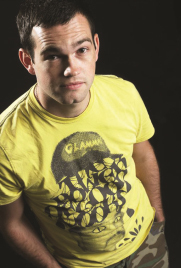 James Murray burst onto the dance scene back in 2008 and has not looked back since. Worldwide headline DJ appearances for Ministry of Sound in over 40 countries and a number of production releases on major house labels, James has been taking the House scene by storm! Hailing from Liverpool, UK, Jamie has grown up in the music industry working with one of the UK's most successful independent record labels - Deltasonic Records. Jaye Walker has been djing professionally in the London & international club scene since 1996. His first gig was at the famous club Hippodrome in Leicester Square London at the age of 18. JC, who has lived out most of his life in city of Dubai, made DJing a career after years of never imagining it could be more than a hobby of just collecting records. 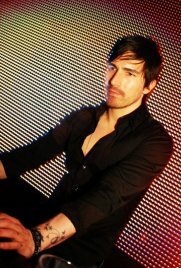 During the last 20 years Jon has held HUGE UK residencies for Peach at Garlands playing with his friends Alex P and Brandon Block, Goodgreef alongside the now infamous Eddie Halliwell, The Sugar Hut made famous by "The only way is essex" and 2risque with Jason Herd, joining a host of BIG names including Roger Sanchez, Full Intention and many other respected DJs. 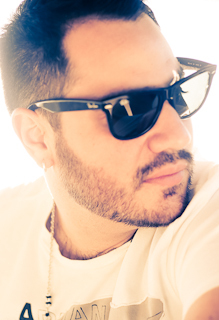 Born in Malaga (Spain) Jose JS currently holds a ​residency at Destino Pacha Ibiza, former resident DJ in Dubai and Abu Dhabi playing House and Electronic music, nominated best DJ in the U.A.E. Janis aka DJ Jabu grew up in Los Angeles in a family of music lovers. At the age of 11, she first saw the upright bass and was instantly drawn to it. 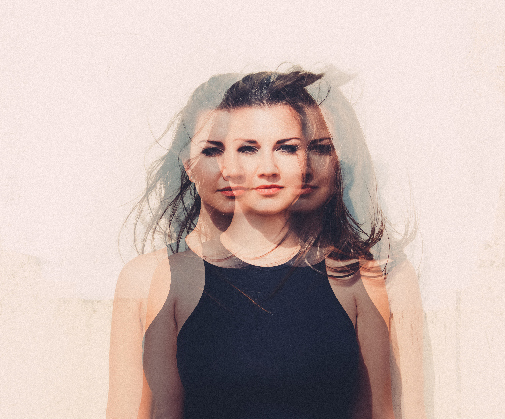 After playing both jazz and classical music throughout middle school and high school, she graduated from Mcgill University in Montréal with a Bachelor's degree in classical music performance. For over a decade, DJ Karim has built a reputation through his ability to read and entertain any crowd around the world. One of the most well-rounded​ DJs in the Middle East scene today who recently became the Pioneer DJ Middle East Champion 2013. DJ Ka boo has earned his place among the industry's elite. 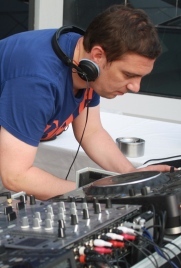 Originating from the North of London, Keith began DJ'ing professionally over a decade ago in the early 00's mixing dance music within bars and clubs around the South of England. Superstar DJ from Paris, Keza is well-known for his mad skills behind the decks, from House to Hip-Hop, turning all the sounds into a unique and explosive style. An electronic music DJ from Athens Greece. He has spent much of his life in the UK but is currently based in Abu Dhabi in the UAE. Koast is no newcomer to the electronic music scene, he's had a number of long-term residencies in three vibrant and cosmopolitan cities, Athens, Manchester and Abu Dhabi. Laura Love is a highly talented and professional DJ from the UK. Known for her positive energy and outgoing personality on and off the decks, she is a born entertainer with a strong reputation for diversity. International award-winning DJ, Liz Mugler, has been paving the way for women on the DJ scene since 2009, performing in top venues in Paris, Doha, Mexico and Ibiza- to name just a few. World Renowned Disc Jockey, DJ oSo Loso, hails from Camden, New Jersey by way of Clarksville, TN. He is a Self-Starter who moulded his career & made a name for himself in the Industry through his talented ear for music. 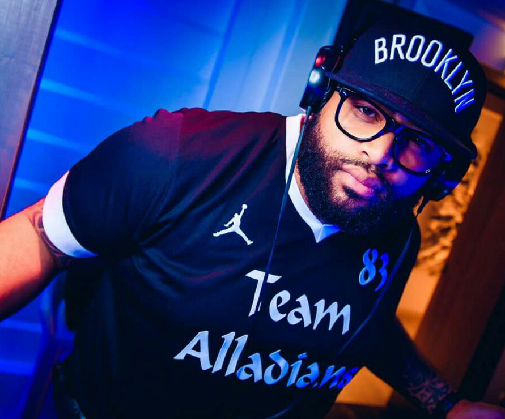 DJ Loso got his start at a small venue, Club Upscale, in Clarksville in 2005; a night that changed his life forever. Major Massry AKA Major Flow was born in Lebanon. He started playing in 2005 . The main genres of music that he focuses on are Urban, Caribbean ( reggae dancehall ) , Latin ( Reggaeton , Bachata , Merengue , … ) and Deep Lounge House … And Pop Top40 . DJ Marc Betta became a professional DJ at the age of 19 in his native Seychelles, where the cosmopolitan mix of tourists taught him how to adapt his style to any audience. And it was his love for traveling and hunger to compete on the international scene which led him to begin his odyssey around the world. Whether it's house, progressive house or lounge music let yourself fall into the musical haze of Dj Margo Sahara. 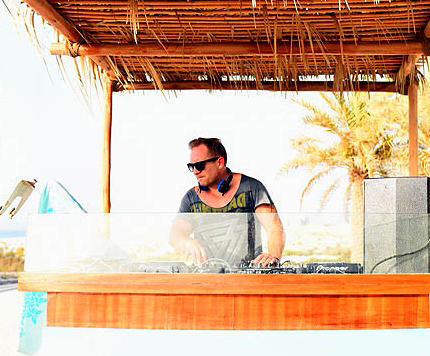 Residencies are the mark of any DJ, and as the once long-term resident of the award-winning Nasimi Beach club in Dubai, Jackin' house specialist Marko Smokingroove has well and truly made his mark. Masha Vincente is a DJ from Donetsk, Ukraine with over 7 years of experience in music industry. She has been performing as a resident DJ at the popular and luxury nightclubs & lounges within her home country and abroad since 2009. DJ Michelle Love is an international DJ & producer. Though she studied music production at the most recognized schools in Mexico, she started her career as an artist on television. He's often called 'the mirage' for the illusions he creates with his music. This ladies man feels very much at home in the U.A.E, having grown up in the capital, Abu Dhabi. Professional model and horse rider, Jodie Lee grew up with her musically talented brother, DJ and producer Greg Stainer (EMI Music). 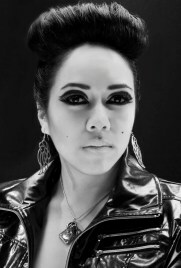 Following in his footsteps, Jodie Lee began to DJ in 2007 making her debut in the prestigious Zinc nightclub, central Dubai, where she entertained over 800 clubgoers with her commercial & electronic house set. From humble beginnings of mixing tunes on A-tracks to mastering the art of turntablism, Ahmed Ben Chaibah aka Mister Outlaw, has always shown a deep love for all genres of music. This was something that pushed him to fuse completely different styles of music together and make them flow seamlessly. 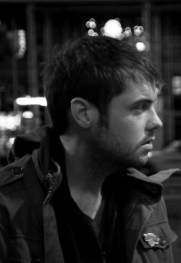 Hailing from Manchester, United Kingdom, DJ Mitchell grew up in a city known for its love of music. His influences range from scratch DJs Jazzy Jeff and DJ Craze to Skrillex and Deadmau5, resulting in a somewhat eclectic taste and style. 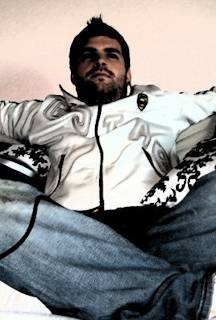 DJ/ Producer and remixer based in UAE Abu Dhabi, born in Beirut, Lebanon . Moe had a ​passion for music and production all his life. He started with rock and alternative then slowly shifted towards electronic music to end up where he is now in the Deep house / Nu-disco genre. He is mostly into synthesizers and bass sounds, working his way towards improving his sound. You know your night is doing something right when your combined musical output across 9 years totals 4,752 hours of peerless house music (and you've almost single-handedly​ kept Café Patron in business in the Middle East). 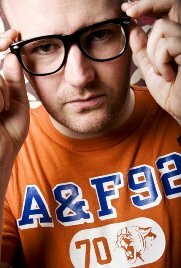 Moky is an award winning producer and DJ for Pioneer & DJ Mag and a regular guest on DJ City and BBC 1Xtra. With 10 years under his belt, Moky has already gained an eye-catching CV of international clubs, festivals, concerts and exclusive events supporting artists such as Jazzy Jeff, Krept & Konan and Snoop Dogg. 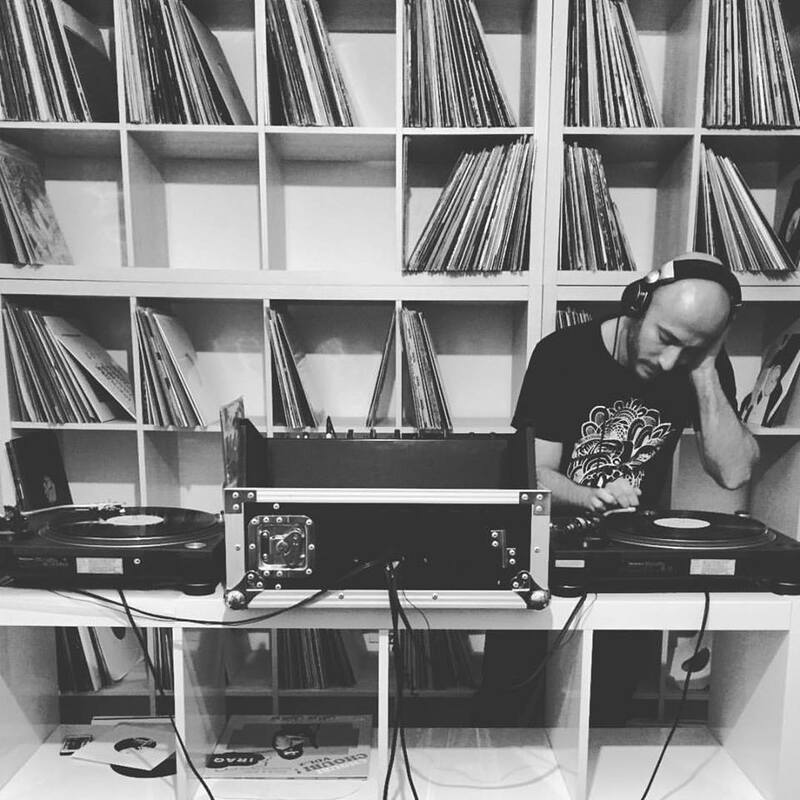 Majid aka Megrov, is a DJ and a music producer that grew up on Hip Hop music (mainstream and underground), Funk, Pop, 70s, 80s and 90s, a musical staple in his homeland of Slovakia. Miki Love - the most popular DJane of Romania. British DJ, vocalist & composer Maxine Hardcastle. unning the club scene since more than 15 years. NEARI (Yuri Omneari) comes from the Hip-Hop culture of the early 90's. He also discovered the electronic music at the same time. 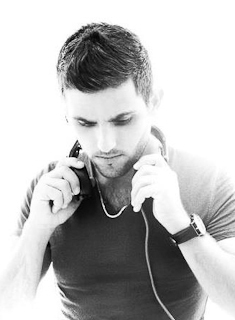 Currently more Deep, Tech and Progressive House with his project name NEARI. 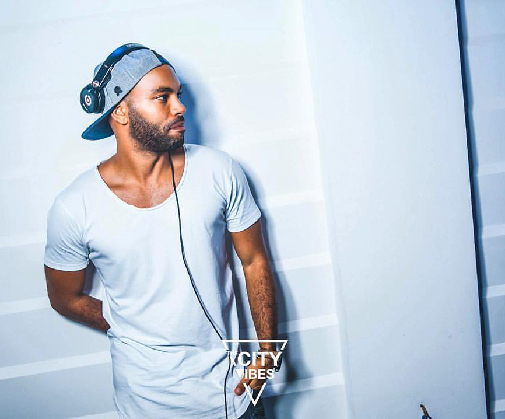 Winner of Timeout Magazines 'Best Resident DJ' in the 2016 Nightlife Awards, DJ Neil T is a staple part of the UAE's buzzing nightlife scene. 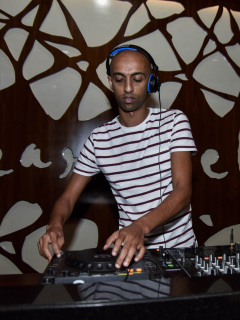 In his 10th year DJing in the UAE, DJ Neil T has become reliable and confident choice with the emirates clubbers over the years. DJ 'Nuff Said! Born and raised in the capital of the UAE, Abu Dhabi… 1988 was the year "Fady Joseph" was brought into the light. Being surrounded by a mixture of more than 35 cultures was the main reason to turn Dj 'Nuff Said into the talent he is right now. Live Music is back at Velocity Sports Bar & Restaurant. 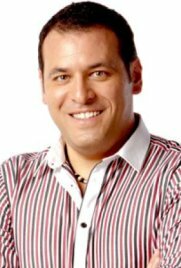 Paul Hamilton born January 24, 1974 originally from Malta, had a young upstart in the music industry, known for his ability to read people taking them to a never ending energetic journey beyond any expectations. Playing electronic music for over two decades, he is currently playing and producing deep house, vocal house, tech house, progressive house and techno. 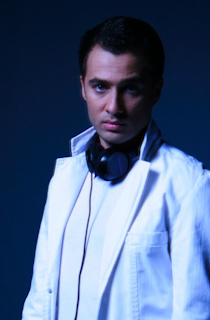 DJ Ragy is of Arab-American origin, born and raised in the UAE. He started his musical life as a musician, performing in several types of bands, gaining versatile music knowledge. 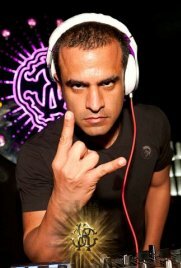 DJ Rainier grew up in Sri-Lanka and moved to UAE in 2009, joining the F&B department at Fairmont Abu Dhabi. With a massive passion for DJing since early years, Rainier then became the house DJ of the Fairmont Bab Al Bahr hotel and still is today. He is also holding a residency at 'Swim & Tonic' at Steigenberger Hotel Business Bay Dubai. If you hear Jackin', Tech or Deep House, groovy, soulful, downtempo beats, then you have chances to be in the place where Raz Delmundo drops them. International house DJ Renata spins funky, electro, hip-hop, lounge, soul and funk music. er dynamic DJ sets and glamorous presence have been dazzling dance floors for the last ten years. Originally from the beautiful Caribbean island of Puerto Rico and currently based in Abu Dhabi, DJ Rizal continues to establish himself as one of UAE's finest, playing alongside world renowned reggae artists such as J Boog, Dawn Penn, and Tanto Metro & Devonte. Influenced by the dancehall reggae artist of the 80's and the early days of Reggaeton, he now headlines in the region's fast-growing reggae movement with Reggae Beachfest Franchises and Reggae Series of Kingston 10. After only being a part of the scene for a couple of years, UAE-raised Rob Forrest has already played at some of the capital's hot spots, as well as alongside all-star lineups at pool parties such as Foamaloco at Centro Yas Island, and Immaculate Touch at Al Maya Island. Roberto Mermand has already trotted the globe in search of hype crowds and groovy beats. 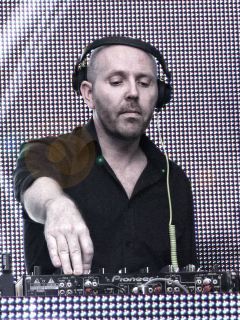 He has had a number of successful releases on major labels such as Sony Music, Tiger Records, King Street Sounds NYC, Natura Viva, to name a few and in the past decade has played all over including USA (Burning Man), Europe, Middle East & North Africa and Asia also holding residency in some of UK's top clubs such as Pacha London. Bitten by the house bug in Sydney in 2000 Rod quickly found residencies around his hometown of Sydney allowing him to hone his skills behind the decks. Before long Rod was playing at any club worth it's salt in the Australian city as well as running his own nights "Life". Rone Jaxx, born Rony Jackson, started his musical journey at the age of 13, back in the early 90s whilst DJing/MCing in spontaneous venues all over the UAE . Most of his early gigs required him to play an eclectic (all kinds of music) set which he always delivered with a raw urban touch. I play various forms of house, techno, disco and funk… although not necessarily in that order. I've been in the game since circa 2001, DJing across the UK and now in the UAE where I have held down a residency with Audio Tonic at 360, Dubai since 2012. Sabrina is the Middle East favorite Female DJ (Award 2014/2015 ) & TV Host (Vox Goodbye Deutschland 2013, Motorheadz, Taff Pro7, RTL, Spectrum TV) Listed in DJ Mag Top 50 in the Middle East (voted No. 15 in the polls) #2 at the FDJ List Worldwide 2015. “A music multitasker” is how Time Out Abu Dhabi describes Saif. He is a UAE based Radio Host, DJ and MC. Born in the capital city of UAE, Abu Dhabi, he started his career in 2005 as he was a DJ for various pool parties, school proms and private events as a teenager himself. He has grown to achieve numerous monumental moments in the region that gained him a well-established reputation along with an active and growing fan base in the media industry. DJ Sam's DJ career began in Egypt in 1996 as a resident DJ; it went through clubs, lounge bars, pool parties, proms and sport events. DJ Sam's skills as a DJ lie beyond simply traditional popular music and include House, RnB, underground Hip Hop, lounge, electronic and international music. Scott B has spent six out of the last eight years performing to hundreds of thousands of partygoers in holiday resorts such as Laganas (Zante), Malia (Crete) and Playa Del Ingles (Gran Canaria). One of the most talented DJ's in the world, Scottie B's CV says it all. 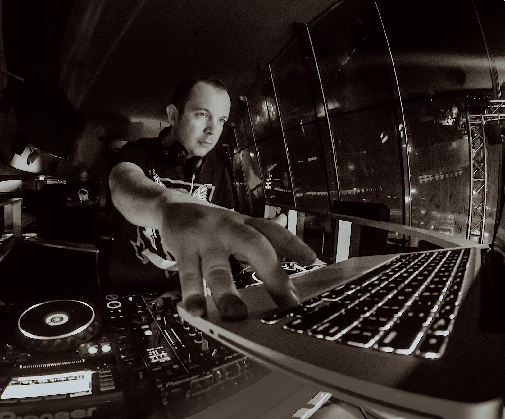 One of Ireland's most celebrated DJ's Shane Patrick now based in the UAE is setting the scene alight at the moment. 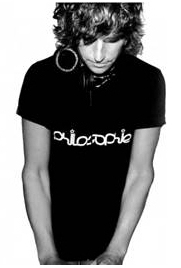 Shero Baluch, aka DJ Shero, began his DJing career at age 20 in Cyprus, Greece. After perfecting his skills, Shero shifted his sights to the up and coming nightclub scene of Dubai, UAE. Simon Bechus aka Simon B hails from Cape Town, South Africa. He fell in love with house music in the mid 90's jamming to Frankie Knuckles and Marshall Jefferson at South Africa's 1st house club Funky Lemons! Born in the 80's into a family of musician, DJ SLIM is a well spoken, articulate and professional DJ with a clear voice in the mic, excellent communication skills and a good sense of timing and co-ordination. 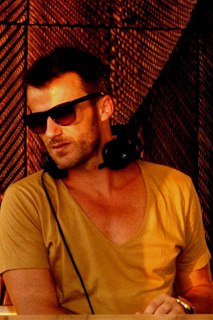 With over a decade of experience as a Professional DJ, Sneaky Pete (Pieter Pym) made the move to Abu Dhabi in 2011. He has held down extended contracts at some of the busiest bars in the Capital. Spending just over a year at Coopers (Park Rotana), Eighteen months at Heroes, Level Lounge and Cho Gao (Crowne Plaza) and more recently over a year at Rock Bottom Cafe (Capital Hotel). He is currently playing at a variety of bars, clubs and events around the UAE. Quality house music are the first words that spring to mind when you hear Soulfisher. Versatility, competence and technical proficiency on the decks are key strengths that distinguish him as a DJ. Resident DJ at Pacha Ibiza Dubai, and 2012 Pioneer ME DJ Champ, Soulninja is one of the region’s most in-demand artists. If you hear deep, House baselines and high - energy rhythms, chances are you've entered into the booth of DJ Stew Magoo. 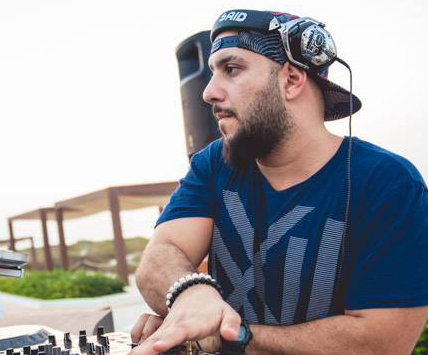 As one of the UAE's premiere deejays, he has over a decade of industry experience. Stu Laurie has spent the past 10 years bringing his passion for music across to people in different parts of the world. Longevity, creativity, contacts and infectious energy, Danny is a true stalwart to his profession. Now cruising into his 3rd decade working as a professional DJ, Danny is uncompromising in his work ethic. Unlike the others, I have decided to write my own biography, using my own words. I like to remind myself of my own achievements and the reason why I have become what I am right now. My name is Tamer Metwali, I come from a very small but beautiful city in Egypt called Al Mansoora, a city that lacks all the knowledge and opportunity resources to be all that I need in order to become a DJ. 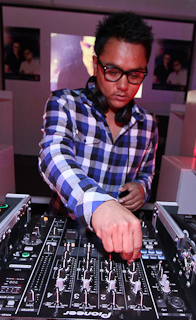 Born in 1992, Tanvir Ahmed, a young local resident DJ based in UAE, has been mastering the art of music at an early age. His interest in music only escalated with time. In spite of the obscure situation of underground music in the middle east, Tanvir managed to perform gigs in several prominent clubs and lounges since his early 20s. A DJ from Minsk Belarus. Been in UAE since 2010, I had performed & established a high standard profile gigs & Events in many international avenues. Life begins at 30, so they say. But for Tim Kay dance music has already been a huge part of his life for over half of his existence. DJ Tipsy alias Abubakar Sidibe was born in Saudi Arabia. In 2006, he moved to France with his family. For over four years he has been night travelling France and abroad. His success stems from his way of mixing, as well as specialized playlists (Hip Hop, Trap, Afro Beat, Middle East Music). It is in 1992 that Lebanese DJ Tony H had his very first feel of a mixing table with "Big in Japan", Alpha Ville's massive tune at the time. Admirer of Culture beat, Snap, & Dr. Alban, he quickly embarked on his musical journey - the escalation was rather fast, as it quickly took over: Vinyls were pilling up while he was welcomed into the exclusive DJ community of Beirut. Tony Nohra, a.k.a. 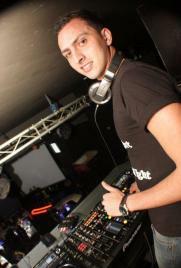 DJ Tony Tone, was born on January 28th, 1985 of Lebanese Nationality and was raised in Abu Dhabi, U.A.E. 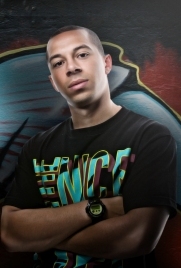 Tony Tone started his career as a DJ in 1998, at the age of 14. DJ Tony White has been on the decks since his childhood. At the young age of 13 He started playing at family and school parties,by the time he was 18,he had his own radio show on the most popular radio stations in Lebanon "Switch FM." Patrick Chouchani aka TRIX became interested in the electronicmusic scene while living in Copenhagen, Denmark. It was there that he started DJing, in 2005. Back to Beirut in 2007, Electronicmusic was still unheard and TRIX became devoted to find a hotspot to release his unique sound. 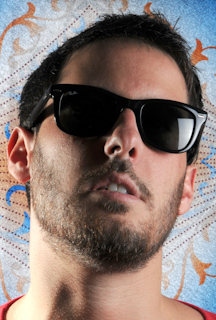 THE NINJA is a European DJ/ Producer with international experience based in Dubai. 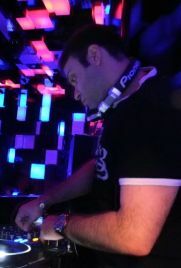 In Abu Dhabi he currently holds residency at Hysteria Night Club, where he plays at 'Queen of Balkan' night every Sunday. "Music gives a soul to the universe, wings to the mind, flight to the imagination and life to everything".